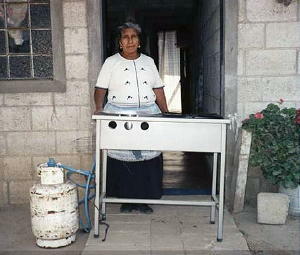 We are happy to report more LifeNets successes in Guatemala. 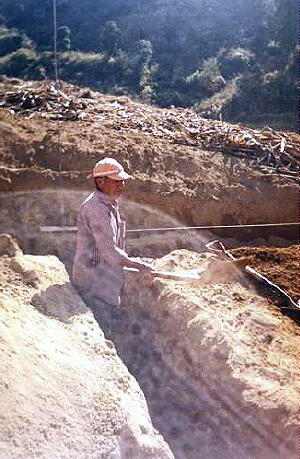 Our annual program for Guatemala consists of scholarships, habitat and livelihood development projects. It has made a significant difference in the quality of life in a very poor country. 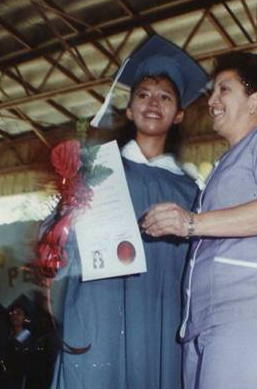 In Guatemala we had a total of 14 young people receiving scholarships to finish high school as well as attend University. Here are some of the outcomes. Two women graduates who have received LifeNets Developing Nations Scholarship Fund support. On the left is Sarai Gonzales Peñate and on the right is Blanca Godoy de Galdàmez. Sarai is working as teacher in an elementary school and Blanca Godoy has a business of shoe trading. 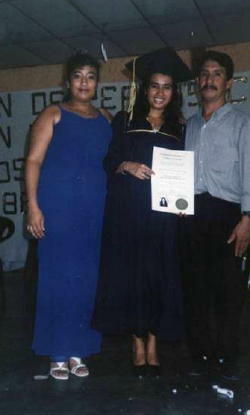 Two young ladies receiving 2005 scholarships: Lourdes Suevern Santos (left) and Ruth Suevern Santos. Other scholarships from the past years with some continuing into this year (2006). 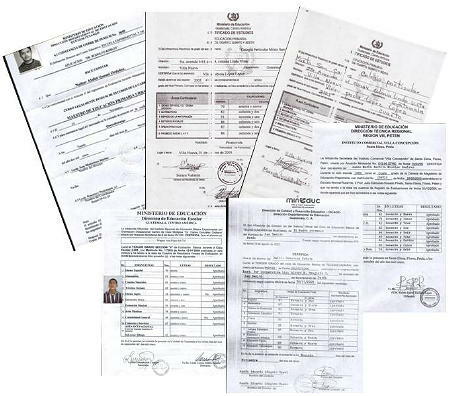 Some of the school certificates are shown below. Most of these students are given help to complete their high school education so that they could go on to higher education. Our scholarship program is an important conduit giving teens the ability to develop their skills and go on in many cases to study at universities. 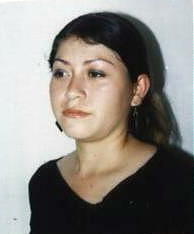 Vilma Fabiola López López. This certificate is for 6th grade at elementary school in the year 2005 and now Life Nets continues to help with her education. Isai Antonio Morales Mayen He is studying to become a teacher with specialization in physical education. 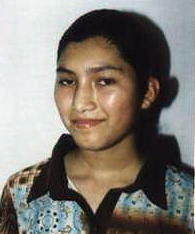 Mrs. Sara Conde de Gonon of the Quetzaltenango United Church of God congregation. 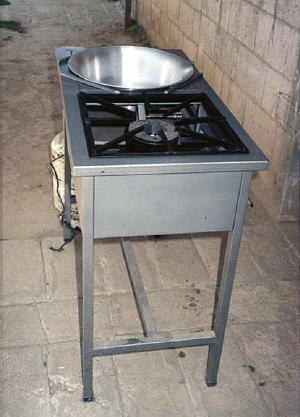 LifeNets purchased this stove -- she now cooks food, then sells it at the market or on the streets in Quetzaltenango. 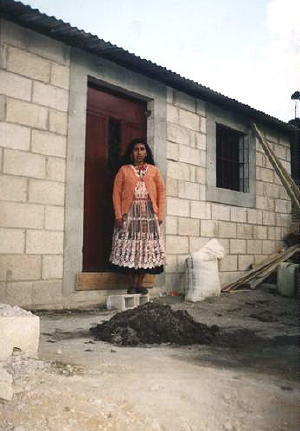 Life Nets gave roof and floor for Mrs. Dorcas Dina Gonon Conde's house in Quetzaltenango. The other materials for this house were given to the project by Habitat for Humanity. 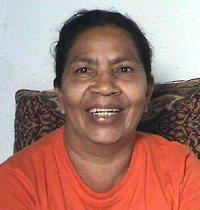 Before this Mrs. Dorcas Gonon didn't have a home.